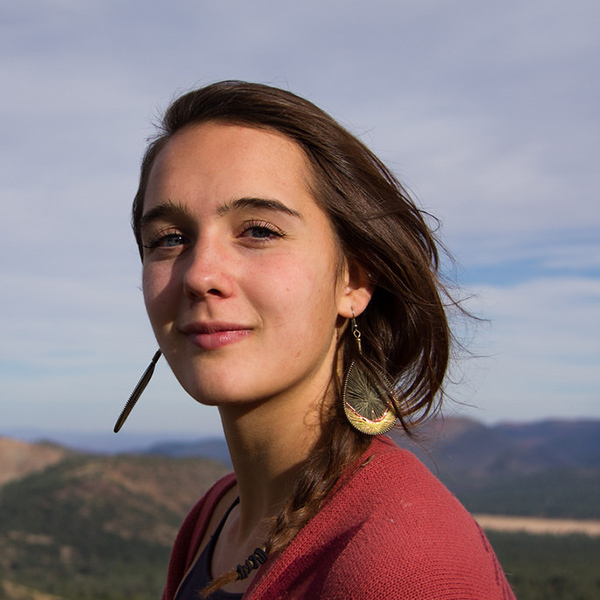 What brought you to Grand Canyon Trust? I first learned about the Trust through the Uplift Climate Conference, which I attended in August of 2016. A few weeks later, I learned that the teacher sponsor for the Earth Guardians crew I lead was organizing a springs restoration trip for his environmental science class. I was offered a spot on the trip because of my involvement in conservation work, and I gladly and excitedly accepted it. I grew up in Flagstaff, so my first memories consist of frolicking through groves of whispering ponderosa pines and admiring stunning views of the Grand Canyon. The Colorado Plateau has provided me with boundless opportunities to learn, heal, and grow, and I will forever credit this place for my profound love of the natural world. One crisp morning during my volunteer trip at Kane Ranch, I was awoken at the crack of dawn by the yelps of nearby coyotes. I groggily arose from my sleeping bag to look around, and was amazed by a breathtaking view of the sun rising over the landscape. I spent the first half hour or so of my morning watching the sun rise up and over the distant mesas and listening to the coyotes yipping and howling. It reminded me of the effortless and sublime beauty of nature and of the need to protect and conserve this place. In my spare time, I enjoy exploring the natural world. Backpacking, hiking, and camping are among my favorite ways to do so. I am also an avid traveler. As of now, I have visited nine countries, and I hope to visit many more in the future. My conservation hero is Xiuhtezcatl Martinez. Until I encountered a video of him, I thought that conservation and climate justice activism were reserved for adults and people much more qualified than I. Seeing Xiuhtezcatl fight so adamantly for the future he wants despite his age empowered me to do the same. 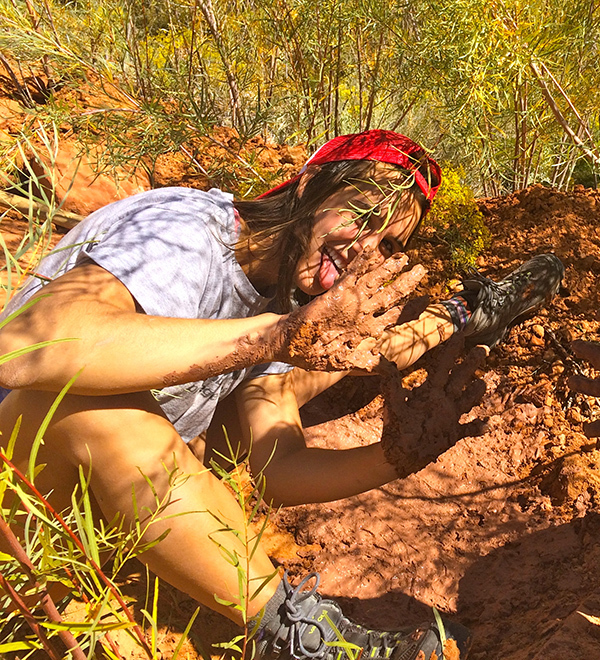 Elea Ziegelbaum works on restoring a spring near the Vermilion Cliffs.